How many different types of bread exist? It is a question I could not even begin to know the answer. It seems as though each day brings a new discovery. It is through Bread Bakers, other bread baking groups, fellow food bloggers, and traveling that adds to my ever growing list of breads to try. It’s fascinating to see all the bread variations and how many people bake it. It is no surprise there is a National Homemade Bread Day. I had to join in the celebration with these Peanut Butter Buns. Baking bread can be therapeutic. Even the smallest part of it can bring a smile. It could be the aroma of yeast, watching it rise, feeling the dough while kneading, or taking that first heavenly bite. There is a special moment in the process with each bread I bake. The moment with these buns was when I lifted the towel from the bowl after the first rise to see it actually doubled. I know that sounds odd, however it was the first time I’ve made a batter yeast bread. I wondered if there would be enough strength of the batter to double. And sure enough, it doubled just fine. I see more batter yeast breads in my future. Peanut Butter Buns have an ingredient very dear to me. What is it? Well, it is peanut butter. It’s something that is pure comfort food for me. A big spoonful of peanut butter does wonders on a stressful day. 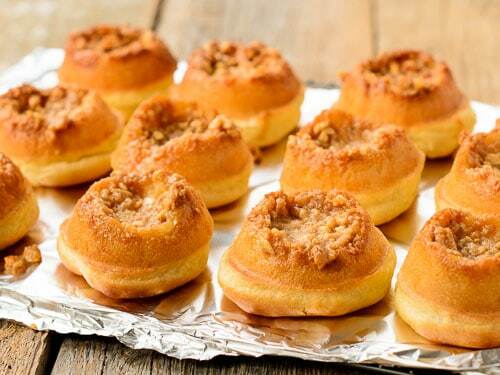 The buns are light and airy and have a sticky peanut butter topping. 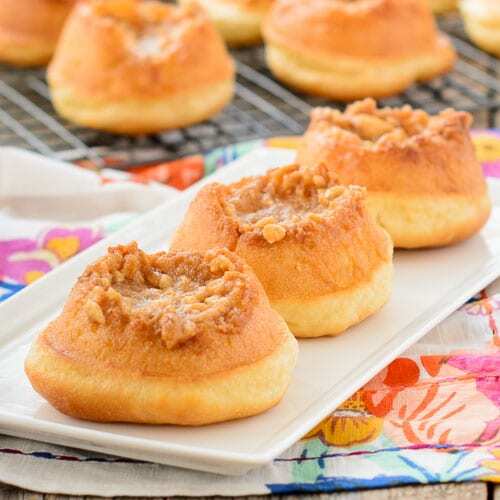 They are not overly sweet as typical sticky buns. Think of it as being similar to the lightness of glaze on a cake instead of heavy frosting. Homemade bread is worth celebrating. We had to make a special Bread Bakers event as soon as Lauren at From Gate to Plate mentioned it. Many thanks to her for being our event host too. 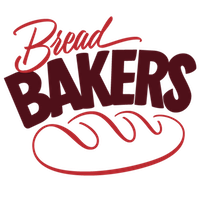 Scroll down to see the list of breads baked for the celebration. What bread do you plan to bake soon? Is it one for the holidays? If so, take a look at my Stollen recipe for a German holiday bread. Happy baking! 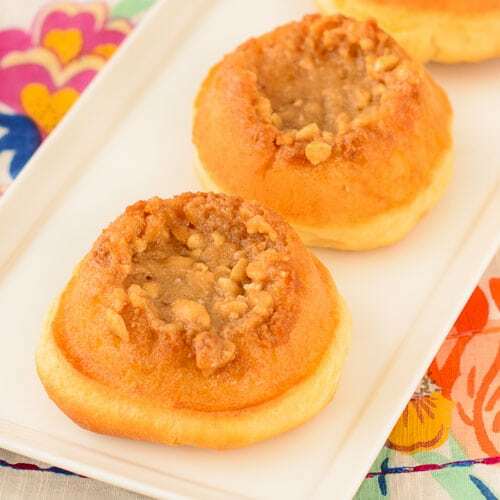 A recipe for Peanut Butter Buns. 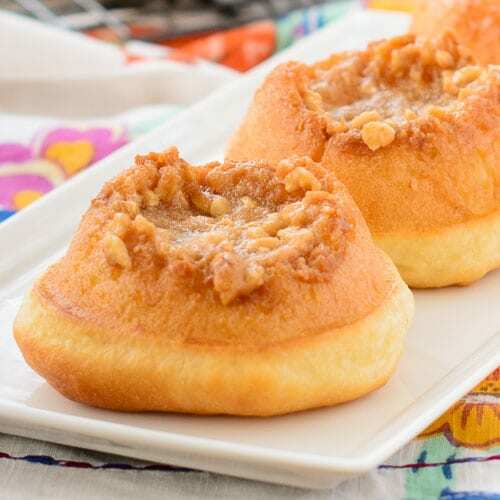 Delight your family and friends with these light and airy buns topped with a sticky peanut butter glaze. Whisk together 1 cup flour, yeast, sugar, and salt in the bowl of a stand mixer. Heat milk, water, and butter in a saucepan until it reaches 125°F (butter does not need to melt). Add to flour mixture and stir to combine. Add egg and mix using flat beater at medium speed for 3 minutes. By hand, stir in remaining 1/2 cup flour to make a stiff batter. Add a small amount of flour, 1 tablespoon at a time, as needed for a stiff batter. Cover bowl with a towel and let rise in a warm place until light and doubled, about 45 minutes. Make the topping while the dough is rising. Beat sugar, butter, peanut butter, and honey in a bowl until combined and smooth. Stir in chopped peanuts. Spoon topping equally into the muffin cups (about 1 heaping tablespoon for each cup). Stir down batter and spoon over topping in muffin cups. Cover with a towel and let rise in a warm place until double, about 30 minutes. Remove towel and bake buns for 20 to 25 minutes, until golden brown. Cover pan with aluminum foil and invert on a cooling rack. Serve warm or cold. Oh my, Renee, these look oh so tasty!! I’m drooling here. Yum! Could you hear me say when your page loaded: “Oh my!”? These are ridiculous and if this is what a batter dough produces then I am going to have to learn about that method. Oh I hope I can recreate your bread in my kitchen! How clever and delicious are those! You are right, there are so many ways to make bread. All the more fun! 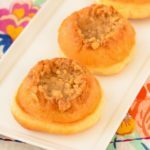 Love anything peanut butter related so these buns are right up my alley. Craving a couple to devour right now! I eat peanut butter almost every day! So these are right up my alley. Delicious!! I totally agree about the therapeutic aspects of baking bread. There’s something so calming yet still so exciting about the process. Your buns are really gorgeous, so gorgeous, in fact, that they almost make me forget that I hate peanut butter (What? WHAT?!?) Ah well, definitely my loss. O. M. G. ! ! ! Baking bread at home is the best. There’s something magical about watching the dough rise and nothing is as comforting as the smell of bread while it bakes in the oven. Adding peanut butter to the equation is sheer brilliance, Renee! I could probably eat this entire batch all by myself! Oh how delicious, I can imagine how good they’d be warm with jam! I made these today..just a question!?? There is a small problem with putting a towel over the muffin pan, as the dough rises and wouldn’t it stick to the towel??? So, spray parchment, then towel it..otherwise you will have one huge mess.